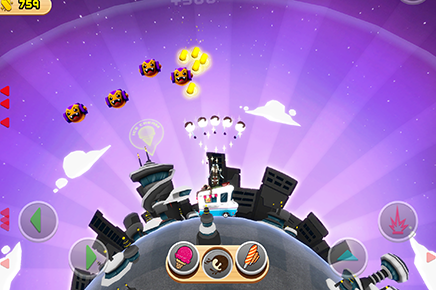 Save humanity’s vital ice cream stocks from dastardly robot enemies! Armed with your weaponized ice cream (yes, weaponized ice cream! ), venture across the galaxy and discover stunning worlds. 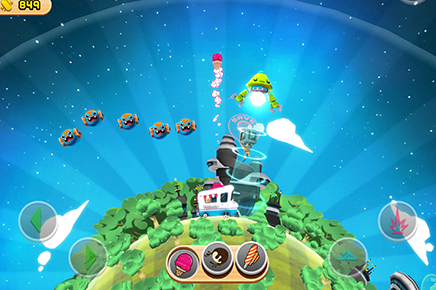 You’ll need to defeat an army of robot invaders with your frozen firepower but don’t worry – when they’ve had enough, the robots explode with joy! Robots Love Ice Cream proves that saving the galaxy is pretty sweet. – Weaponized Ice Cream: From Rapid Pop to Hot Fudge Fun Day, every type of ice cream gives you a new experience defeating your robot menace. 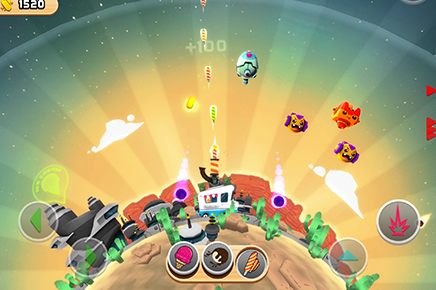 – Each Planet Holds Tons of Challenges: Beat the clock, avoid traps, save the ice cream with one weapon? Defeating the robot menace is even tougher with unique objectives you face on each level. – Combos Create Carnage: Weaponized ice cream is even more effective when you use your combos. Defeat more robots and collect more Sprinkletonium! – Explore New Worlds: Travel throughout the galaxy, beating back the robot menace on desert planets, frozen tundra terrains, and other exotic territories. 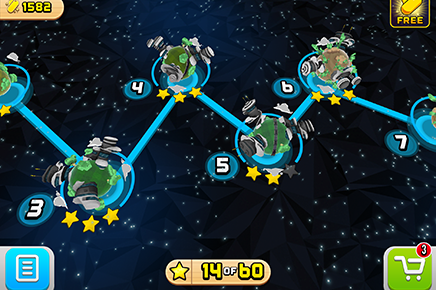 – More Planets, More Robots: The more you play, the more robots you’ll meet. 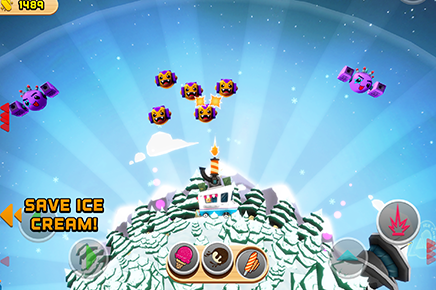 Each new foe makes it more difficult for you to save the galaxy’s ice cream supply! – Power Up! What can Sprinkletonium do for you? 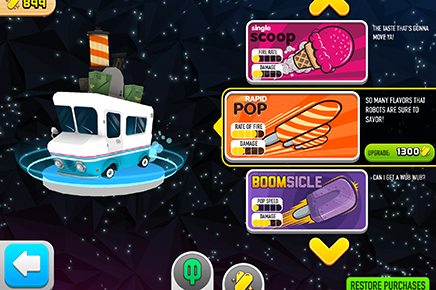 Upgrade weaponized ice cream to help you better battle the ‘bots, that’s what! – Multi-Dimensional Gameplay: 3D worlds in a 2D landscape make for a visually-appealing adventure through the galaxy.